Hotel Milano is located in the center of Sanremo, just a few steps away from the pedestrian area of the city and a few hundred meters from the sea (400 meters from the port) and the bike path. This charming property is located just 500 meters from the station and it takes only a 5 minutes walk to the Ariston Theater, home of the Italian song festival, and just 2 minutes to the Palafiori Convention Center. 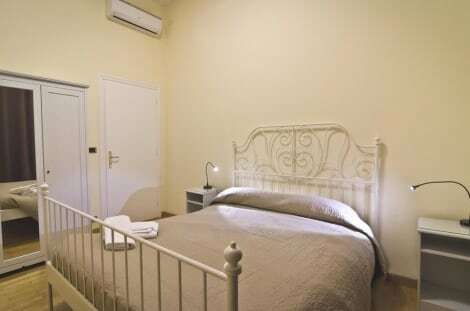 Housed in a historic building in Art Nouveau style, Hotel Milano offers comfortable rooms with bathroom with shower, bidet, hair dryer and complimentary toiletries. The rooms are equipped with air conditioning, TV and direct dial telephone. At guests' disposal, there is a lounge bar and a buffet breakfast, rich of sweet and savory dishes, that is served each morning and is included in the price. The hotel is located 35 km away from Imperia and at a 40-minute drive from the French border. The hotel offers free private parking and free Wi-Fi. Among the amenities include multilingual staff, luggage room and secretarial services. Pets and guide dogs are welcome. Nearby you can carry out recreational activities such as golf and bike rental. Enjoy a meal at the restaurant or snacks in the coffee shop/café. The hotel also offers room service (during limited hours). Unwind at the end of the day with a drink at the bar/lounge or the poolside bar. A complimentary continental breakfast is included. Grab a bite at Corallina, one of the hotel's 4 restaurants, or stay in and take advantage of the 24-hour room service. Snacks are also available at the 2 coffee shops/cafés. Unwind at the end of the day with a drink at the bar/lounge or the poolside bar. A complimentary buffet breakfast is served daily from 7:30 AM to 10 AM. Make yourself at home in one of the 3 air-conditioned rooms featuring LCD televisions. Complimentary wireless Internet access is available to keep you connected. Conveniences include phones, as well as safes and desks. With a stay at Andres GuestHouse Sanremo in Sanremo (Sanremo Centre), you'll be steps from Museum of Palazzo Borea d'Olmo and Ariston Theatre. This guesthouse is 0.1 mi (0.2 km) from Giardini Medaglie D'oro Sanremesi and 0.3 mi (0.4 km) from Yacht Club Sanremo. Make yourself at home in one of the 10 air-conditioned guestrooms. Complimentary wireless Internet access is available to keep you connected. Private bathrooms with showers feature complimentary toiletries and hair dryers. Housekeeping is provided on a limited basis, and cribs/infant beds (surcharge) can be requested. Hotel Villa La Brise offers comfortable and cosy accommodation in a 20th-century villa with no lift, in a residential area 100 metres from Sanremo's sea front. Free WiFi is available throughout the property. Air-conditioning and double glazing in your room, make sure you can rest in comfort. Some rooms have a private terrace overlooking the Bay of Sanremo. Guests at the Hotel Villa La Brise enjoy an on-site bar and restaurant, a garden and lounge with TV. Other services such as bike storage and surfing utilities are also available. A nearby bus station provides quick access to all Sanremo's venues. Hotel Villa La Brise is 2.5 km from the city centre and 5 km from the Arma di Taggia Motorway exit. Make yourself at home in one of the 50 air-conditioned guestrooms. Rooms have private balconies. Complimentary wireless Internet access keeps you connected, and cable programming is available for your entertainment. Private bathrooms with showers feature rainfall showerheads and complimentary toiletries. Make yourself at home in one of the 14 air-conditioned rooms featuring flat-screen televisions. Complimentary wireless Internet access is available to keep you connected. Bathrooms with showers are provided. Conveniences include safes and complimentary newspapers, and housekeeping is provided daily. lastminute.com has a fantastic range of hotels in Sanremo, with everything from cheap hotels to luxurious five star accommodation available. We like to live up to our last minute name so remember you can book any one of our excellent Sanremo hotels up until midnight and stay the same night.